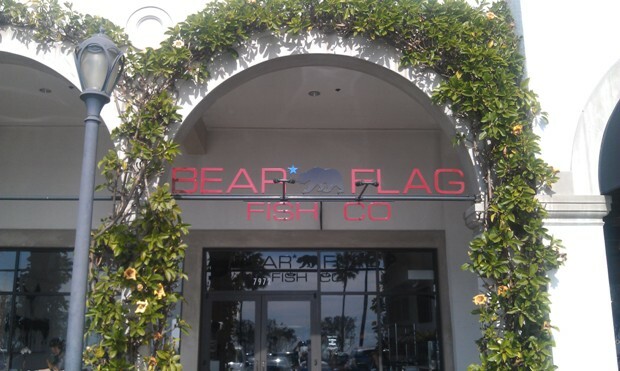 I am very excited to let you all know that Thomas and Erika Carson have opened up their second Bear Flag Fish Company restaurant in the Crystal Cove Promenade in Newport Coast. 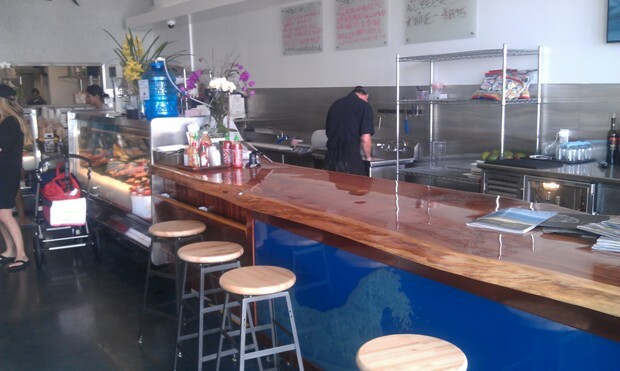 The original Bear Flag Fish Company is located at 407 31st. 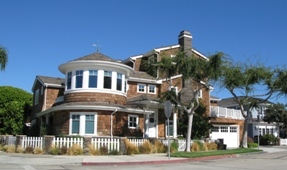 Street in Newport Beach, California (949) 673-3474 and was founded in 2007. Thomas “Thos” Carson used our services last year to obtain and beer and wine license at the original location. We have received approvals from the city of Newport Beach and the ABC as well. A permanent fence needs to be installed in the outdoor patio area prior to serving alcohol. However, the new restaurant in Newport Coast has a beer and wine license in place so now you can enjoy an ice cold Corona Beer with those delicious fish taco’s! Thomas leased the space from The Irvine Company that the Red Mango yogurt shop had occupied. All thou the yogurt shop was technically a restaurant, there was still several issues ahead of us during the design phase. Working closely with Thos, we laid out a new fully functioning kitchen in the back storage area of the old yogurt shop. In the front half of the space we placed the food preparation, fresh fish display and sales counter along with plenty of indoor seating with tables and chairs as well as a beautiful raised natural wood counter with bar stools. The new restaurant is a bit larger (1,524 sq. feet) than the original restaurant (1,396 sq. feet). No matter, the food and service is the same! If you have never had lunch or dinner at Bear Flag Fish Company yet, you are missing out! I think they have the best poke’ on the main land. Besides the yummy fish taco’s, have them whip up a shrimp burrito for you! It is to die for! 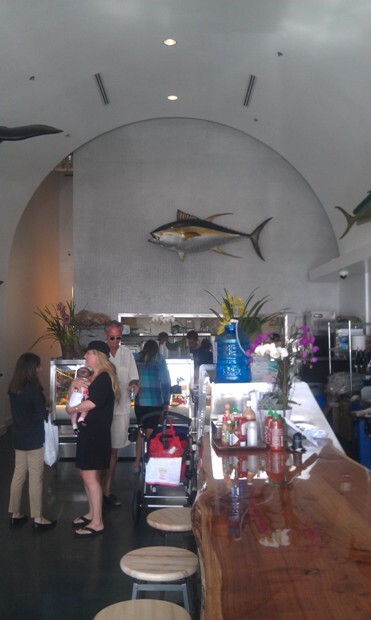 Besides serving up a great lunch or dinner, the Bear Flag Fish Company is also a fish market! Whether you are craving some fresh Alaskan Halibut, Swordfish, or Mahi Mahi they have a huge selection of the freshest fish in town! I know you will enjoy the food from Bear Flag Fish Company whether you eat at the restaurant or purchase some fresh fish and cook it at home yourself. I am sure you will keep coming back!